Creative powerhouse Geoff Johns puts the ring on again as he, cowriter Sam Humphries and artist Ethan Van Sciver debut a new era of emerald greatness! 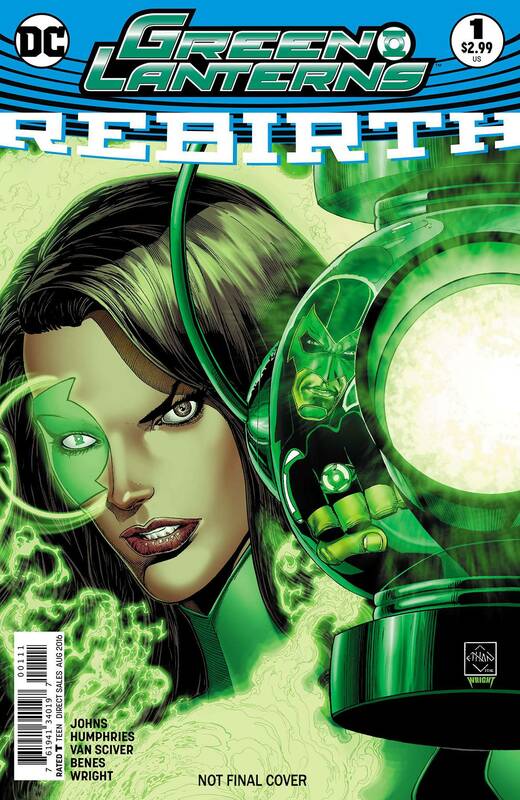 Rookie Green Lanterns Jessica Cruz and Simon Baz tackle the universe's toughest beat: Earth. HOT TICKET: Geoff and Ethan brought Hal Jordan to epic status with the original GREEN LANTERN: REBIRTH.